Grade 9-College. Students assume the role of forensic scientists to solve a fictional crime by integrating core concepts in chemistry. Students conduct ink chromatography, along with gunpowder analysis. 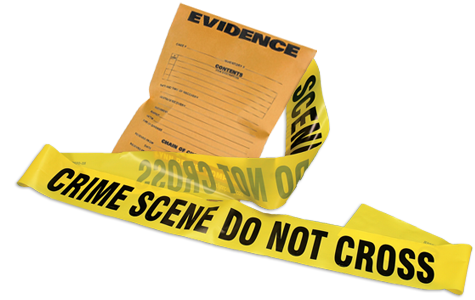 Using deductive reasoning and scientific methodology, students process evidence from the crime scene and integrate concepts, such as data analysis and scientific writing, to help build a compelling case. Grade 9-College. Students stay engaged throughout this investigation as they conduct ink chromatography, along with gunpowder analysis, to solve a crime. Crooks thought they'd pulled off the perfect crime, emptying the local bank's vault and apparently floating away down the river with the looted gold bricks. But they didn't count on a crack team of forensic investigators following hot on their trail. Your students become that team, jumping into the role of forensic scientists working to help "police" solve the fictional crime. Using deductive reasoning and scientific methodology, students process evidence from the crime scene and integrate concepts--such as data analysis and scientific writing--to help build a compelling case.